If you want to relax after a long day of hard work, then a nice hot tub is the way to go. However, which hot tub is the best hot tub for you to buy? In our experience, Essential Hot Tubs are some of the best that there is. 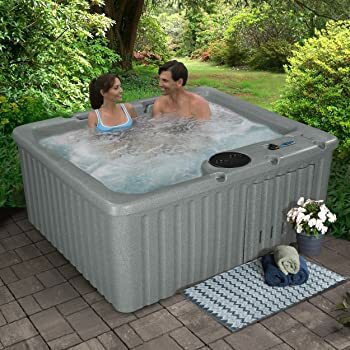 Of course, there are many models of Essential Hot Tubs in the market, and it’s really hard to discern which one suits you best. 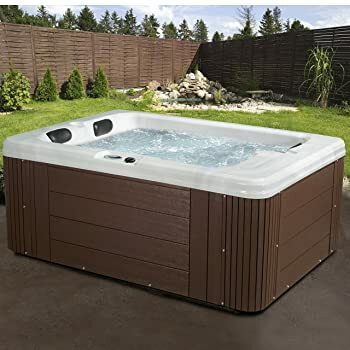 For that, we’ve made a short list on which models are the best hot tubs as per our own experience through these Essential Hot Tubs reviews. 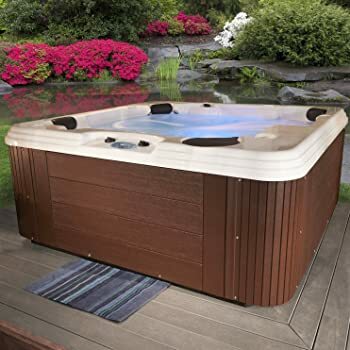 This is one of the best Essential Hot Tubs that you can find in the market. It can fit a max of 5 people and has 11 hydrotherapy jets, making it quite a powerful hot tub. Aside from that, it’s also very easy to use as it has controls that are controlled by a digital remote. It also comes with LED underwater lights to give a more relaxing atmosphere. Most customers will commend the powerful jets that this hot tub has. With its 11 hydrotherapy jets, they all stated that they were able to relax after their day of activities. This is a smaller walk-in tub but still a powerful and high-quality option. It can fit 4 people and is lighter than the first one (weighing only 320 pounds). While it can fit less people, it does have an advantage with regard to legroom as it has a full body lounger. Also, it has 14 hydrotherapy jets. Most customers state that this hot tub is just the right size. Due to its smaller size and high number of jets, you can really feel the pulsing feeling on your body. It’s really relaxing, especially when you soak in it after a hard day’s work. If there’s one thing that can make this hot tub really stand out, it’s the style and design. It actually resembles the hot tubs that you can find in most commercial spas. Also, it comes with 2 Captain’s Style Chairs with pillow headrests. When it comes to power, it has 30 stainless steel jets that are equally distributed around the tub. Customers are quick to say that it’s a hot tub for more than one person. Since the jets are evenly distributed, everyone can feel the therapeutic pulsing. Also, the Captain’s chairs and pillow headrests give the experience a great vibe. A bit wider than the previously mentioned tub, this one sacrifices a bit of its length, hence its rectangular shape. Due to this, only a maximum of 3 people can fit inside. However, it does give users enough legroom to move around and even stretch. Customers only have good things to say about the tub. They love its perfect size which is ideal for couples who want to have more intimate bonding experiences. Also, they have commended how powerful the jets are given its size. This is one of the biggest hot tubs in the list containing 50 jets for hydrotherapy. What makes it awesome is that it can fit up to 6 people who all can enjoy ample legroom because of the wide lounger. It also has a Balboa stainless steel heater for trapping the heat inside. Many customers have used this with their family members. 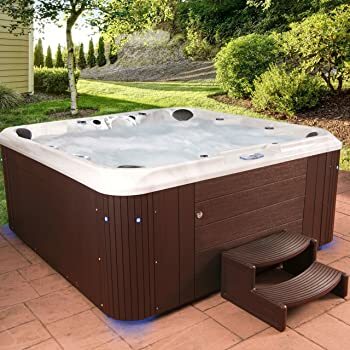 This is a great hot tub for the family as it can fit up to 6 people. If you have children, you can fit in even more people with ease. This is another really big hot tub that can fit up to 6 people. The difference is that it has 67 jets, 51 of which are two-tone jets while the remaining 16 are steel jets. It also comes with Captain’s chairs and loungers. But what really makes this hot tub one of a kind is its sound system. It comes with a Bluetooth system along with a sub-woofer and speakers to boot. Customers are quick to comment about how well the jets are positioned so that everyone in the tub gets the same amount of power for their hydrotherapy. Also, customers loved the waterfall features it offers. Most of all, the sound system is great for those who want to listen to music while relaxing. If you want an even bigger hot tub, then this is the one for you. Of all the products in these Essential Hot Tub reviews, this one has the biggest capacity. It can fit up to 7 people with enough legroom for them to stretch. Also, it has 80 powerful steel jets. It also has a nice sound system for you to listen to music. It’s more of a party type of hot tub for gatherings. Customers are very happy with this product because of its size, Bluetooth-compatible sound system, and powerful jets. Most have commented how nice it is for lawn parties wherein they invite friends over for a dip. These are our top seven picks for Essential Hot Tubs. 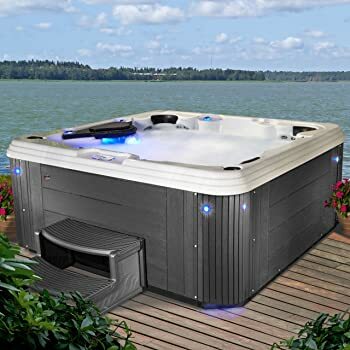 We made this list of Essential Hot Tubs Reviews by comparing the features with other products until we’ve narrowed down which ones are the best. 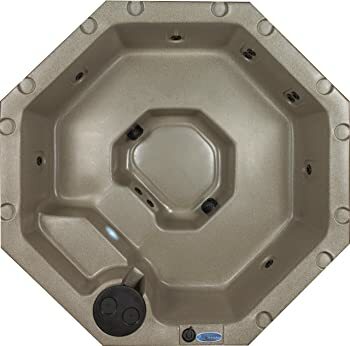 In our experience, the best out of the 7 is definitely the Essential Hot Tubs Syracuse 67 Jet Tub. With regard to style and functionality, this one trumps all the others. The 67 jets are divided into 2 categories catering to various needs of users. Also, the size is just right because you wouldn’t want something too big. Of course, the sound system further adds to the overall experience.